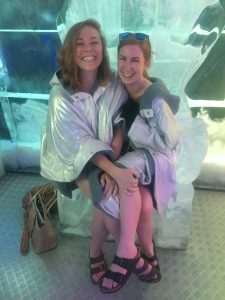 Studying abroad was something that I always had the desire of doing but I was always waiting for someone that I knew to come live the adventure with me. That someone never appeared so, that was when I decided to “risk” and go “by myself”. By coincidence, the same semester I took a photovoice project with Prof. Jana Sladkova (the Professor in charge of leading the program) which gave me the facility to ask questions, and remind my own self my desire for studying abroad. 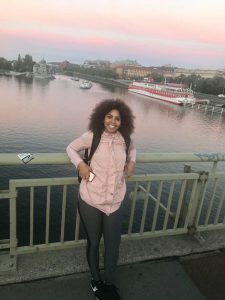 The reason why I was so interested in studying abroad was because I wanted to experience for the first time how it felt like taking classes without having to work and not having other responsibilities other than studying. 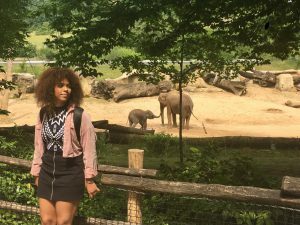 I was also interested in experiencing the dorm life (without having to move out of my house), and also being surrounded by people who have the same educational or professional objective than me. On the other hand, I also wanted to expose myself out of my comfort zone since I still don’t feel secure with my second language (English) and I don’t feel comfortable when I am the only Latina in other groups (not because of my appearance but because of my language barrier). 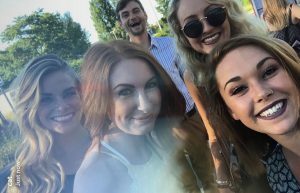 I most of the time surround myself with people who speak my native language which only helps at the moment on how I feel but does not help me improve my language skills in English. This opportunity seemed perfect for all these, especially because visiting another country where the official language is not English ensured that I would find other people who would also have an accent, and also because I felt that I was going to be surrounded by open minded people in the matter since we were going to be studying migration issues and all these is related (language barrier, etc.). On the other hand, I know that some of my classmates didn’t feel comfortable at the beginning with some of the living conditions where we were staying but I think that’s normal since many of them were out of the country for the first time and they had never been exposed to a different living conditions other than the one we live in the U.S. In my case it was not a “big deal” not having an air conditioner, having to wash my cloth in the sink with my hands for the first few days, learn how to use public transportation, not having WiFi in the dorms or even having a stove but no pans. If you really want to enjoy this you will make it work (I would make grilled cheese sandwiches on the stove and soup in a can!). 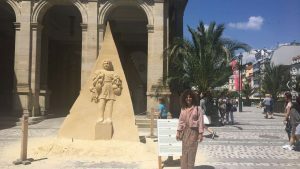 I was born and raised in a country where the living conditions are quite similar so I had already lived before without an air conditioner or using the public transportation. To be honest I don’t think we should expect more because we are not going on vacation to a five star hotel, in the contrary, I think that if we are willing to study abroad we should be open minded to something as basic as the life style in the country. Experiencing the life style of the country we are visiting allows us to get closer to the culture. After all we are studying migration, and there is not a better way to understand it other than experiencing it. 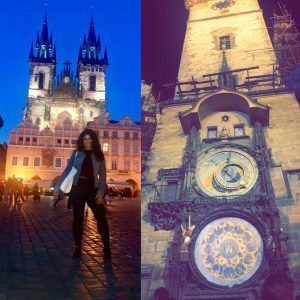 My study abroad experience is Prague is something I will always remember and carry with me. Having the opportunity to embark on such an adventure is once in a lifetime and really opened my eyes to all that I still have yet to explore. 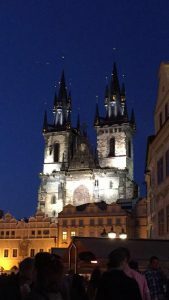 Prague is a city with immense history and beauty and there was never a dull moment or a lack of activities to do. 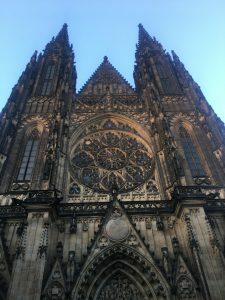 We also visited a number of other cities within the Czech Republic so we were not limited to staying just in Prague. This really gave us context on the country as a whole rather than just the capital. 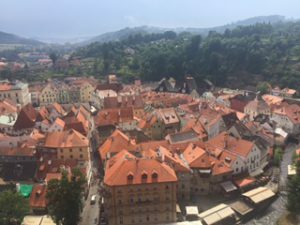 Terezin, Teplice, Cesky Krumlov and Karlovy Vary each had their own individual cultures and history which made them unique cities. I am so grateful for this study abroad opportunity not only for the cultural perspective I gained but also for the amazing group of people I met and the friendships fostered during our three weeks, which flew by, by the way. Some of the living conditions of the trip were not of the same standards as in the US but after a few days this seemed trivial and I knew it was temporary. The lack of wifi in our dorms, though a slight irritation, allowed us to really connect with each other in a way that technology ironically often obstructs us from doing. 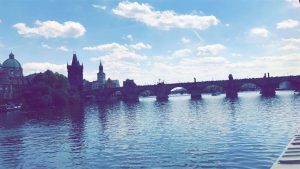 I would highly recommend other students to take advantage of any study abroad opportunities presented to them, especially one in Prague! My time in Prague is something I’ll never forget. It was my first time traveling out of the country and I thought that 3 weeks was going to be too long for me and I would be miserable by the end of week 1. I was so wrong; I didn’t want to leave. I was dragging my feet at the airport. I loved getting to have 3 whole weeks to explore a different country. One of the highlights of the trip for me, was seeing my first Opera, Don Giovanni. The theater was beautiful and the singing was amazing. I also loved that it was the same theater the opera originally preimeried in in 1787, that touch of history made the night even more special. Another special moment of the trip for me was visiting Terezin, a concentration camp from WWII. I really don’t have the words to describe this particular trip. The best way that I can say it was it was heavy. I could feel a weight in my chest as we toured the city. Some of my other favorite moments of the trip was the time I spent just walking around by myself. I took my time so that I could soak in everything around me and truly commit it all to memory. 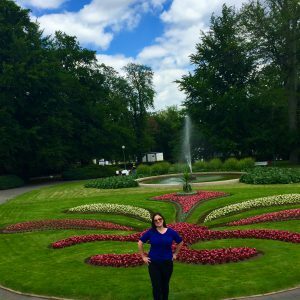 If you have the chance, make a study abroad trip happen! 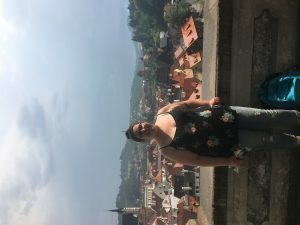 I am what most call a non-traditional student and this was my first time studying abroad. At 41 years old this was something I that I didn’t have the opportunity to do when I was younger. 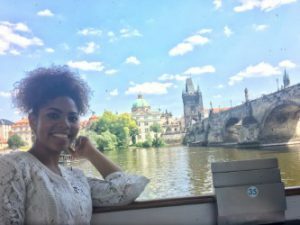 I had never been to Europe and was looking forward to learning about different cultures and how they live. 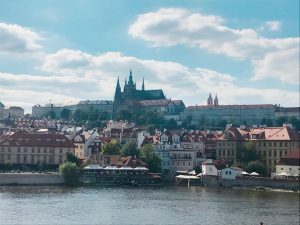 When I arrived in Prague I was excited to see this beautiful city and study at one of the best Universities in Prague. I did not realize I was going to be so homesick and want to go home. Everyone said it’s just a culture shock and give it a few days. One thing that helped was all of the dogs in Prague. Prague is dog friendly and welcomes dogs everywhere. Every day I traveled to school I would see dogs walking along side of the dogs off leash. They are allowed on the public transportation but have to be on a leash and some have to be muzzled. Getting around Prague was really convenient. You don’t really need a car here, the bus, tram and train are all on the honor system and you buy a ticket validate it and if stopped by an inspector you show proof. 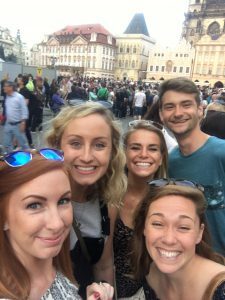 I met some great new friends that go to school here and work here in Prague and took the time to sit and listen to them about what life is like living here. I walked around the city for a few hours and took the subway and the bus to see the city. The things that I noticed about here was the people on the public transportation didn’t speak to each other or text on their phone, instead they all read books. The other thing I noticed was how clean it is here. There is graffiti on the walls around certain parts of town but there is not trash on the ground. They take a lot of pride to keep their city clean. The culture here is very different. People go out in the evening, get dressed up and go see the opera or watch the orchestra play classical music. 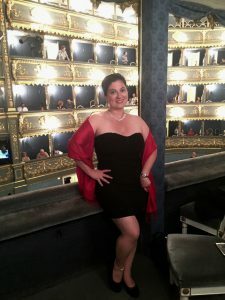 The opera was the highlight of my trip and I am looking forward to coming back to see another one! Although I was looking forward to coming home, I will come back and visit. 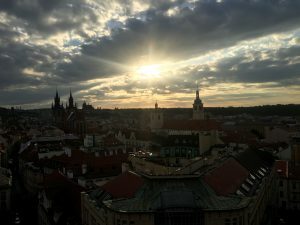 It is truly a beautiful city and I have new friends in the Czech Republic and it was a great experience.